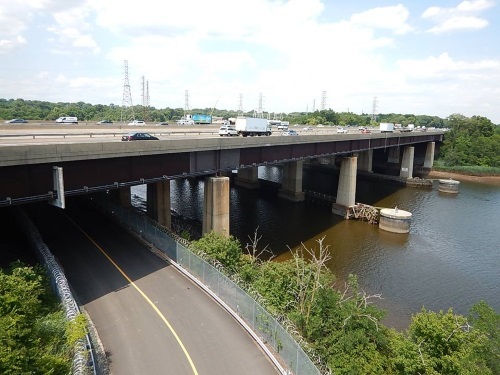 The New Jersey Department of Transportation is distributing $161.25 million in Municipal Aid grant awards to 537 cities and towns across the state – roughly 95 percent of all New Jersey municipalities – to advance road, bridge, safety, and quality-of-life improvements. The agency also issued Bikeway Grants to three counties totaling $1 million, provided another $1 million through its 2019 Safe Streets to Transit Program grant program for five projects in five counties, and a further $1 million through its Transit Village grant program to five municipalities for “revitalizing areas around transit facilities. “Supporting New Jersey’s communities through funding for infrastructure maintenance and renewal is a core component of good government, and stands at the top of this Administration’s priorities,” said Governor Phil Murphy (D) in a statement on April 5. Under the Municipal Aid grant program, each county is apportioned a share of the total funding based on population and the number of local centerline miles. Municipalities compete for portions of their county’s share and the New Jersey DOT provides 75 percent of the grant amount when a town awards a contract and the remaining 25 percent upon completion of the project. Of the $161.25 million awarded, there is $10 million allotted for municipalities qualifying for urban aid under state law, with the amounts determined by the Department of Community Affairs. There are seven project categories eligible for funding via this program: Roadway Preservation, Roadway Safety, Quality of Life, Mobility, Bikeway, Pedestrian Safety, and Bridge Preservation. Past performance in connection with timely award of projects and project delivery were part of the evaluation of the proposals, said the New Jersey DOT, noting that when it evaluates applications it verifies that participating municipality use “complete streets” policies; guidelines that require consideration be given to pedestrians and bicyclists when local transportation projects are being planned, designed, and built. That $161.25 million matches the same amount provided in 2018 but is double the $78.75 million awarded in 2017 – an increase Gov. Murphy credited to New Jersey’s successful effort to raise fuel taxes three years ago specifically to fund transportation needs. According to New Jersey’s Treasury Department, under the 2016 law, the state’s TTF program is required to provide $16 billion over eight years to support critical infrastructure improvements to New Jersey’s roadways and bridges. In order to ensure the state has the funds necessary to support those projects, the law dictates that the Petroleum Products Gross Receipt or PPGR tax rate that generates monies for the TTF must be adjusted to generate roughly $2 billion per year. Due to that formula, the PPGR tax rate on gasoline and diesel went up 4.3 cents per gallon to a total 26.9 cents per gallon on October 1, 2018.